North American Cypress (Taxodium Distichum) grows in wet, swampy areas along the Eastern Coast from Delaware to Florida and west along the Gulf to the Mexican border in Texas and north up the Mississippi River Valley. This water-loving tree grows best in the swampy areas of Florida and the lower Mississippi River and can reach heights of up to 145 feet. Common names for cypress include: bald cypress, swamp cypress, southern cypress, red cypress, yellow cypress, white cypress, tidewater cypress, gulf cypress, black cypress, cow cypress. 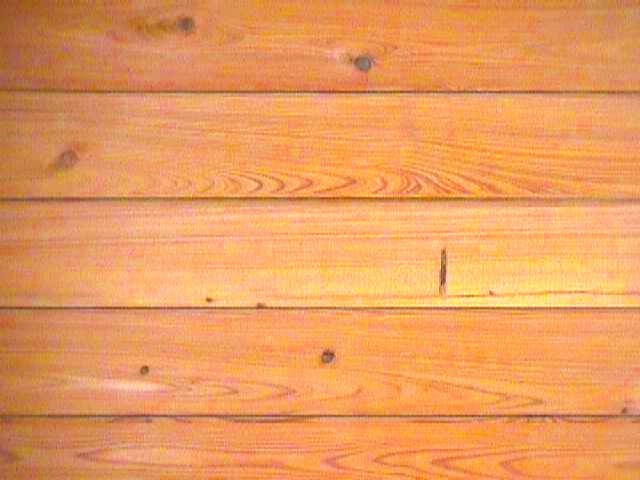 Cypress has many exterior and interior uses. 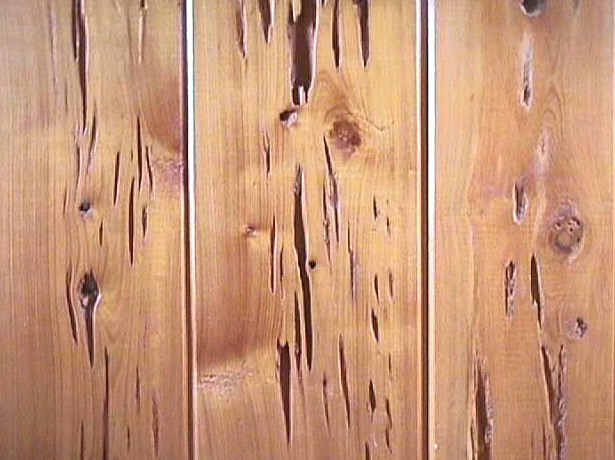 Cypress heartwood is extremely decay and insect resistant due to the naturally occurring preservative known as cypressine. 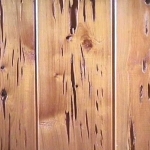 It is an ideal choice for house construction, docks, beams, decks, flooring, paneling and siding. 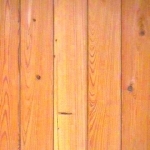 Cypress can also be milled to make doors, windows, rails, and even caskets. The ancient Egyptians used cypress to produce caskets for the pharaohs, and in the Middle Ages, craftsmen used it to carve enormous cathedral doors. 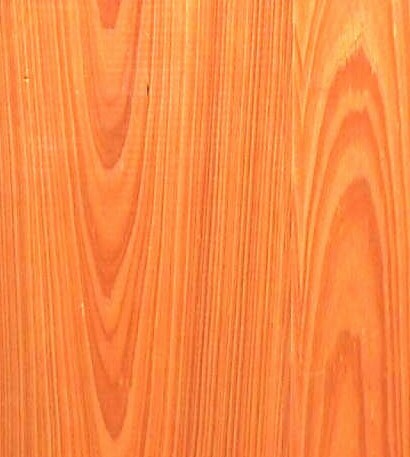 One Cypress grade that is particularly popular for interior paneling is Pecky Cypress. 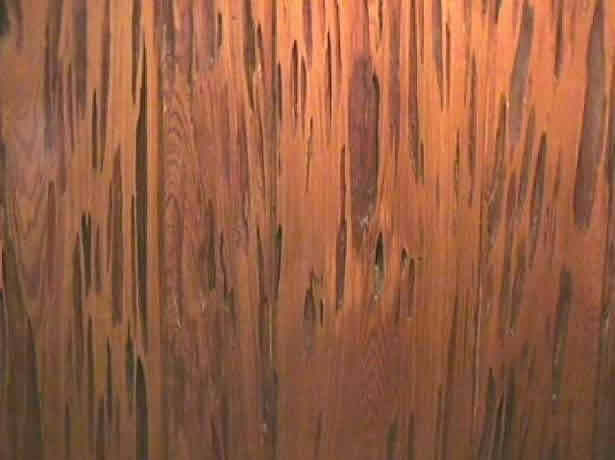 Although the exact cause is unknown, the Pecky appears like decay pockets in the tree’s heart wood. 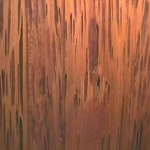 When finally cut for paneling, it yields an attractive three-dimensional look unlike any other wood. 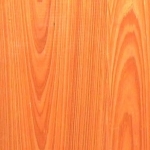 Even though Pecky Cypress is considered an independent grade, it is not as readily available as the Selects and Commons and therefore offers a special opportunity to present a truly unique rustic appearance. New Growth Pecky Cypress typically has a lighter color and a “lite to medium” degree of peckiness. Old Growth recovered Pecky is typically darker in color with a “medium to heavy” degree of peckiness.